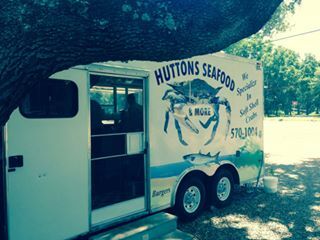 Huttons Seafood may be a food truck in style, but it's been in its same location since 2007 serving only fresh, locally caught made-to-order seafood. Family owned and operated, Huttons has become known for its fried soft-shell crab, and it also carries a wide range of grouper, shrimp, scallops, flounder, oyster and boneless catfish dishes and baskets. Huttons also sells homemade BBQ ribs and pulled pork. as well as chicken wins, hamburgers and hot dogs.